When Pam Mandel answered my 10 Questions For: Pam Mandel of Nerd’s Eye Views, she mentioned a Fachertorte as one of her most favorite pieces of pastry. Initially I believed she’d made a mistake and accidentally had changed “Sachertorte” into “Fachertorte”. 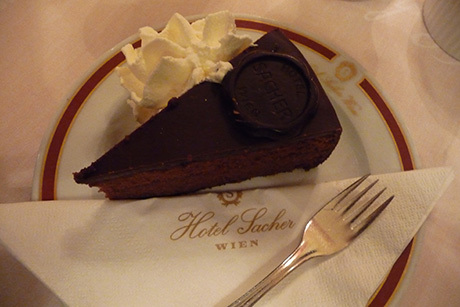 I thought only an American lady could make such mistake, because I as a … Continue reading "Vienna: Sachertorte, Fachertorte and Truffeltorte"